Funny how great ideas never really die. They may fade away for a few years, but they always seem to return, mainly because, well, they were great ideas. We’ve never seen the return of the Pet Rock, but we are seeing chickens make a comeback, and this writer says HALLEJUAH, BROTHER! My grandparents had a farm in Charles City, Iowa, prior to the Great Depression. Their farm of 200 acres was mostly gone by 1939. By the time I first visited them, in 1953, they had their original farmhouse and five acres. To me, a child of five, their “spread” seemed enormous. To them, older, wiser, and disillusioned, their “spread” was a painful reminder of better days. My grandfather sat me on his knee one day and talked to me of the old days of farming, the long hours, the endless problems, and his love for the land. He talked about the cattle and the pigs, the turkeys and the goats, and then he pointed to ten chickens scratching a few feet from us. So here I am, little Billy all grown up, and I’ll be damned if I can understand why more people in the city don’t own chickens. If there are no restrictions in your city, then what are you waiting for? And if there are restrictions in your community, then why aren’t you changing those restrictions? The movement is growing. You might just as well become a part of it. Today is your lucky day and how cool is that? Today I’m going to give you a primer on raising chickens in the city, and you get to learn from my considerable mistakes. If it could be done wrong then I’ve done it, but I only made the mistakes once and then learned from them. Now you don’t even have to make those same mistakes once. Don’t try to thank me. I embarrass easily. You just might be surprised! 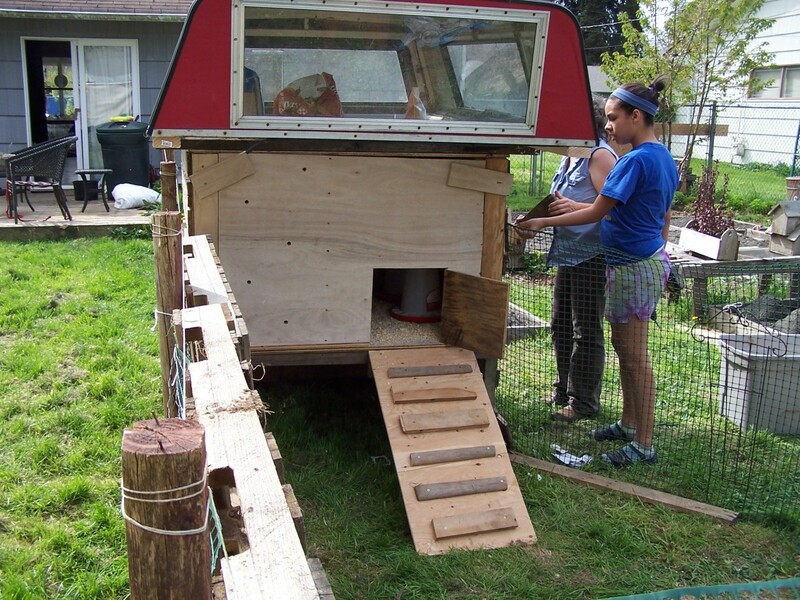 Many cities across the United States now allow chickens within their boundaries. 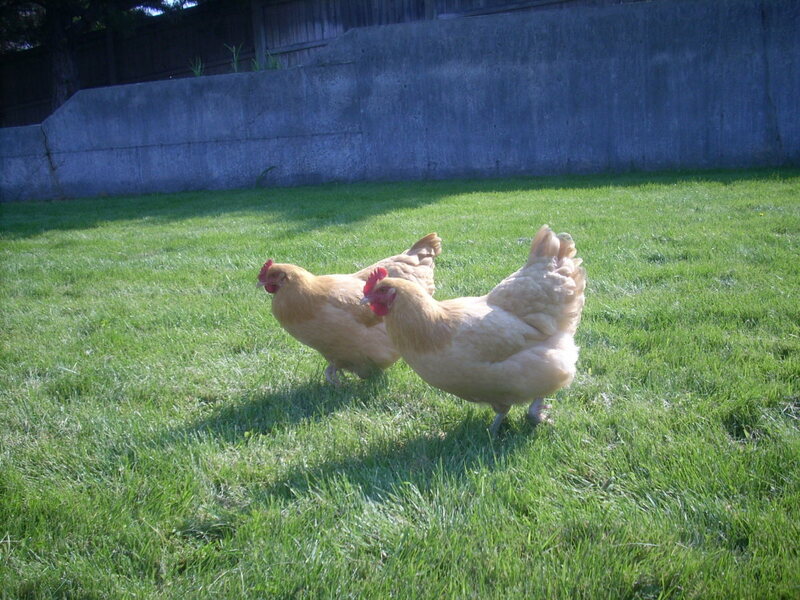 Most cities allow between three and five hens per yard. Rarely are roosters allowed because, well, roosters are annoyingly loud. But never fear, you get eggs without having roosters. You just don’t get fertilized eggs, but if you aren’t planning on raising a large flock, you don’t need fertilized eggs anyway. So check with your city planners and find out what your city allows. If you live where chickens are not allowed, it most likely is because nobody has ever started the political process to get them allowed. Why not you? No clowning around on this point. Chickens are basically helpless when it comes to dogs, raccoons, weasels, possums, rats, and even large cats. Chickens need protection. Their coop needs to be safe from invasion, as does their chicken run. If you choose not to have a run, and allow your chickens to roam freely around your yard, don’t worry too much about predators during the day. An occasional hawk might soar above them, but chickens are amazingly good at knowing when birds of prey are nearby, and they will head for cover when they hear a hawk cry out from above. Just make sure dogs can’t get into your yard. 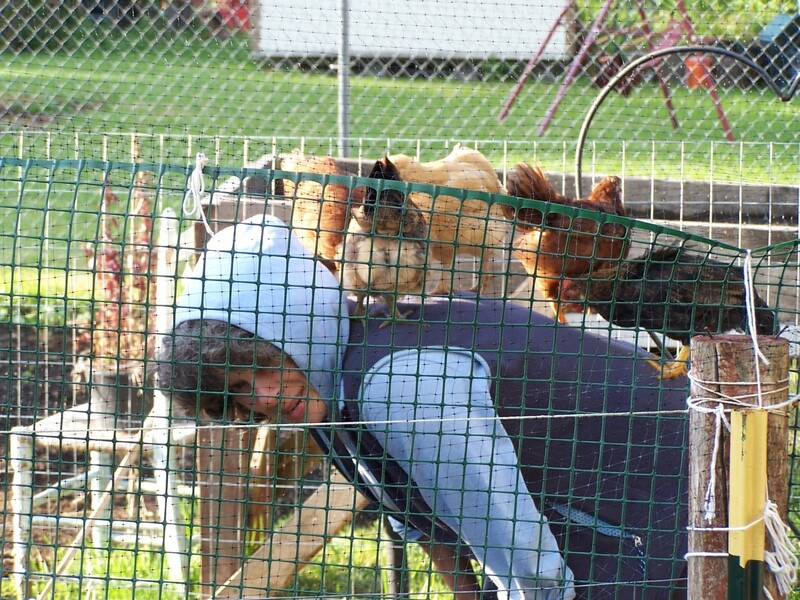 As dusk approaches, your chickens will head back to the safety of their coop, where you can lock them in for the night. There are hundreds of building plans for constructing a chicken coop, and there are hundreds of completed coops for sale if you want to go that route. 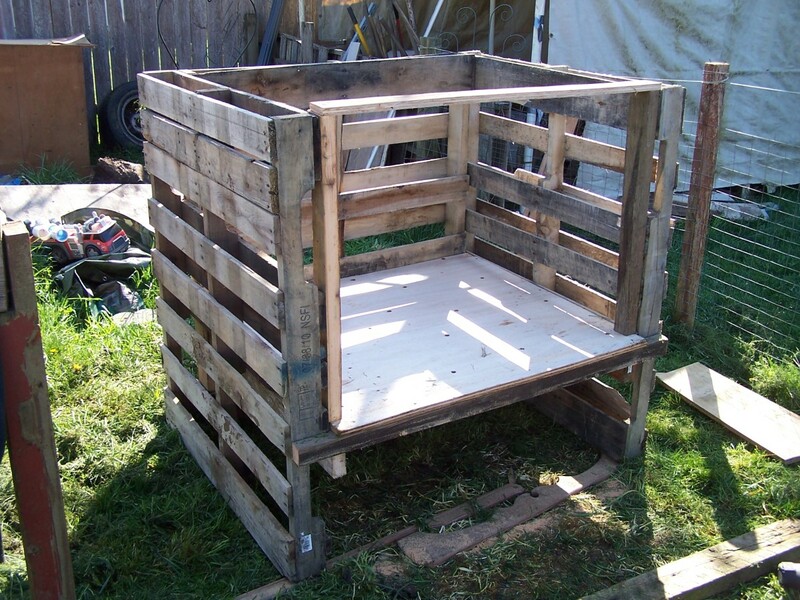 You can also do what we did and simply construct a simple coop out of wooden pallets and a couple sheets of plywood. 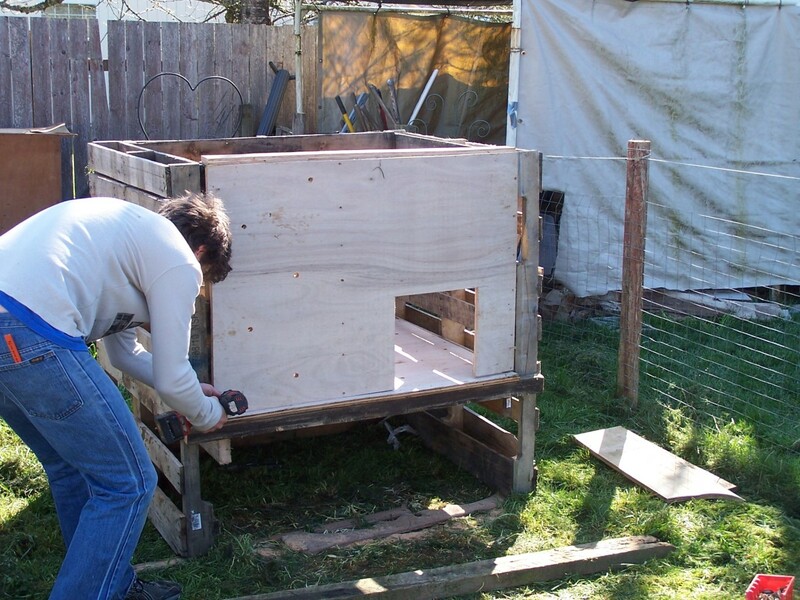 Our entire coop, which houses six hens, cost us $44 to make, or the cost of two sheets of plywood. We must have done a good job because we haven’t lost one of our six chickens to predators over the first two years. I can only give you an average figure based on my experience, and I can also tell you that every chicken is a bit different when it comes to a laying schedule. On average, a hen will lay five or six eggs during a seven-day week. That’s during the spring, summer, and early fall. During the winter all bets are off. Our first year, our hens laid the entire year and did not take the winter months off. The second winter, they took two months off and then started in again. I’ve spoken to friends in the Midwest who say their hens don’t lay from October to March. As your hens get older they will lay fewer eggs. 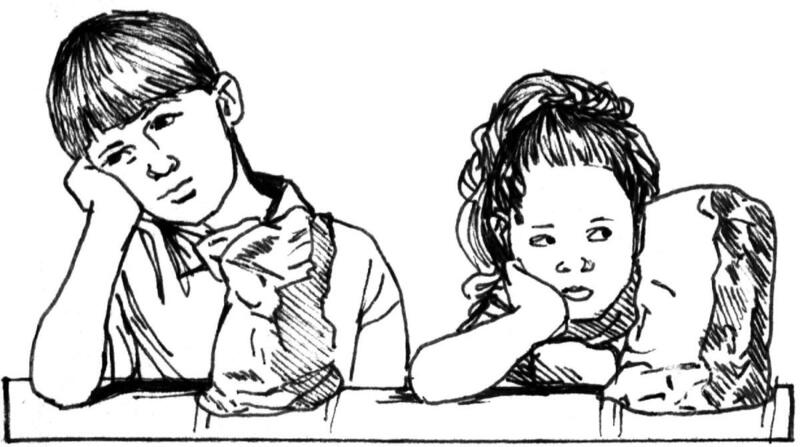 Their greatest productivity happens in the first two years, and then their output diminishes. I know of chickens that will lay when they are seven and eight years old, but again, on average, after about four years they are better as fryers than egg-layers. Chicken feed, of course, which can be found at many pet stores and farm feed stores, but chickens will also scratch for bugs constantly, and they also happen to love bread. In fact, you might be surprised at the things your chickens will enjoy eating. We turn ours loose in the vegetable garden when the growing season is over, and they love eating the leaves on the dormant plants. They will even eat slugs if you split the slug open first. Give them a worm and they will love you forever. I go out in the yard every week and dig up a section with my trusty shovel. New worms are discovered and the chickens once again declare their love for me. Fresh water is also non-negotiable. If it gets cold in the winter then you need to make sure their water supply doesn’t freeze. Believe it or not, chickens are very hardy. They are not fond of wind and rain but they will survive it. Snow is a challenge for them but again, they can survive it. Cold is their greatest enemy other than predators, but a simple heat lamp in their coop will get them through the winter. Once the temperature dips into the twenties or below, the heat lamp needs to be turned on so your critters have a warm place to run to. I’ve written articles on how to construct a chicken coop, so I won’t go into that here. I’m not going to bother you with the different breeds you can choose from. Do a little research and find out which breed will work best for you. If you plan on eating your chickens when their laying days are over, then go for productivity and size. If you just want eggs, then lean towards the best egg-producers. If you learn only one lesson from this article, make it this: chickens need to be protected from predators. Do that and chances are excellent that you will be successful. Mary no, you do not need a rooster for eggs....hens do quite nicely. 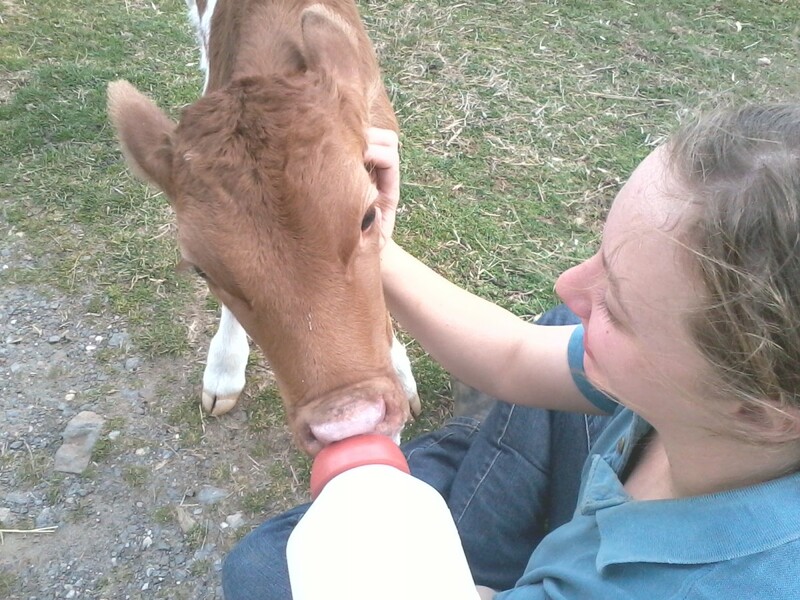 :) Thanks for reading...I have an urban farming blog you might find helpful too. Thank you, Faith, and who knows indeed? I'll try to write another chicken hub for you soon. Yes, maybe we are trying too hard ... I have noticed that the hub has to be not too long, but just the right length. So, I will keep that in mind. Who knows? I love your chickens hubs! Thank you Faith. It's funny that a hub I spent a half hour on is chosen, and those I really try hard on to make meaningful go unnoticed. Sigh! I missed this one just until this day as I never sign out until the weekend, and then I scroll through the chosen HOTDs for the week and saw this one. Thank you oceansnsunsets....no fire hazard as long as the lamp isn't touching wood. We hang our from a hook on the ceiling and haven't had trouble with it through two winters. Wow, what a great hub on raising chickens. I like your encouragement, for people to get to know if its allowed in their communities, and if not, to work toward changing that. I think this could be an invaluable resource for people, and will bookmark in case I need to find your other hubs too on going to the next step. I am curious if the heat lamps in a coop in the winter months are ever a fire hazard? I sure would love to have some chickens like that. I had a friend once that said it was a huge mess, but I wonder if she did it wrong or something. Anyway, a great hub, voted up and all the way across. I plan on sharing and pinning. I loved most your memories with your grandfather, that is awesome and precious. On a completely different note, I went to St. Charles City Iowa one summer with my friend, to visit family. Being from Southern California at the time, it was a wonderful experience. They lived right along a beautiful river there. Rhode Island Reds are as dependable as you could ask for, Vandyneg....I would go with them...and I have friends in Iowa who only have one heat lamp in the coop and their chickens do well during the winter. They are a very hardy bird so no worries. Just keep them safe from predators and they will supply you with some great eggs. This is great help! We have been thinking about raising chickens for a few years now and have just now gotten a way to get electricity to where we would like to house our chickens. I worry about the cold as well and hope that a heat lamp would be safe. 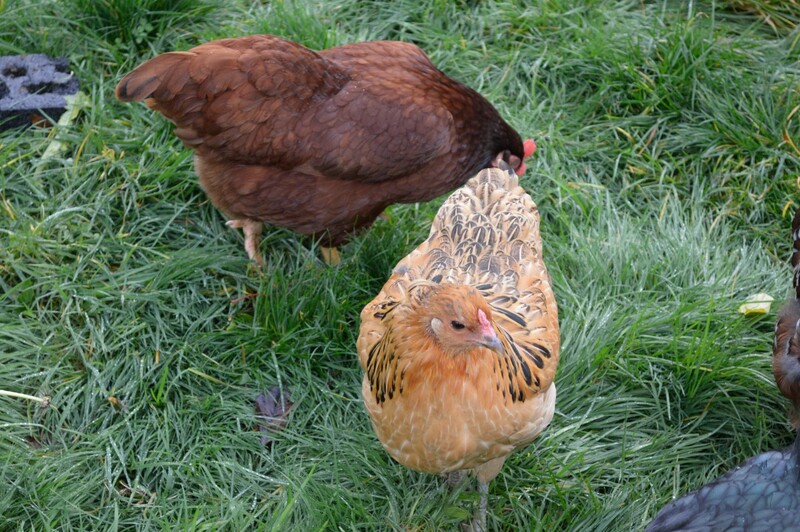 We are after egg laying chickens only....as well as those who attack the bugs too! Any suggestions for good egg layers? LOL...Paula, you really venture into the wilderness with the card club of yours. I hope you have a lot of "chicken feed." Seriously, we love our critters, and spend a lot of time with them...so they are our hobby, and we don't mind spending money on a hobby that gives us so much. Have a great week...good luck with the snowstorm. Bill....This is terrific and I have to hand it to you & Bev for all the pre-planning, hard work & tenacity in creating your own excellent chicken-raising environment. Considering you do not live in the deeply rural areas, this is quite a feat & certainly well worth it. I looked into this several years ago, only to be advised it would not be an option due to the creatures called "coyotes" who have made their homes in the woods surrounding the property. Thanks, Sha, and the same to you. You are never late, Zulma, and thank you! Congrats on the HOTD, Bill! It's nice to see they are no longer just awarded to newbies! Congrats, Bill. Sorry for the late kudos. Thank you Susan. Keeping them protected at night isn't that difficult....during the day, if you have daytime predators...that would be the challenge. Good luck to you if you decide to try this. PS, thanks for coming back. I really appreciate it, and I appreciate your friendship more than you may know. Blessings my friend, and those angels are loaded down with hugs. jptanabe, roosters are a problem in an urban environment for sure. We also have quail, the the male quail can be noisy as well....so far, not noisy enough to bother our neighbors. Thank you for stopping by. Blonde, I'm with you all the way, and nice pun tossed in your comment. :) I do believe that raising chickens puts people in touch with farming, a way of life that needs to be revisited around the world. Let's hope articles like this one help. Thank you! The idea of having chickens continues to grow on me. The predators here would be a challenge, but I think it might be worth the work of keeping them protected. Your advice is very helpful. Congratulations on the well-deserved HOTD! Congrats on the HOTD, Billy! A friend of mine has a major Earth-Mother streak in her DNA, and she has raised bees (they're gone now - but she might get more) and also raised chickens. Her eggs are beautiful - all different pastel colors, and they're so good. However, even though she's in an urban area, they have coyotes, and she just lost all of her chickens over a period of a few weeks - I think raccoons got a few, too. That would frustrate me, so much. She's planning to restock her pen soon - and they're trying to figure a way to control the predators. GiftsByDiana, we have one of those. We have quite a mixture of six different one, but the Rhode Island Red is the most consistent layer by far. If you do it, Vicki, keep me posted, and if you run into any problems, just ask and I'll answer if I can. Congrats On HOTD I read this sometime back but wanted to stop and give you some kudos. Omedeto, my Friend. You done good!!! Very enjoyable read as always. My uncle had chickens and when I got to gather the eggs every morning one summer when my sister and I stayed there. I did enjoy those eggs! Now we have neighbors who have chickens, and at least one rooster - yes, noisy in the warmer weather (quiet now for the winter). Congratulations on your Hub of the Day. Yay! I have chickens here on our farm in Brazil. I do have roosters and yes they are noisy. Not just at daybreak either. 2:30 AM is not uncommon. Eggs from free range hens are unbeatable, (lol) and the yolks are almost orange as you know. I think if possible everyone, should strive to rear chickens as it puts people in touch with farming. This I feel is a good first step to change our attitudes towards food, large supermarkets, and life in general. An excellent hub and once again, I am so pleased for your achievement. My Grandma always had them, Rhode Island Reds were her favorite ! Thank you Vicki and yes, I would recommend you doing it and most definitely, two is better than one. A single chicken will get lonely, as odd as that may sound. :) No worries about winter...only in real cold weather do they need a heat lamp. Thank you Jeannie. I'm just trying to encourage more people to raise these entertaining birds and get some great eggs as a bonus. Well this is a nice surprise, when I read this hub last night I never realised that today it would be HOTD, congratulations, it is a winner I enjoyed it. First, congrats on HOTD! Well deserved, as are many more of your 900 plus articles! I live in a college town where chickens are allowed! are they really that easy to care for? I always feared for the winter, but I guess with a coop, food, checking the water and temperature out there, I could do it. Would you recommend one? or would two be better so they have company? :-) I may do this! I've talked to my dad about it before; he gave me some tips, too! Congrats on your Hub of the Day. I love your chicken hubs and the photos. Thank you very much, Flourish! Gypsy, I love that description...garden ornaments. Thank you! It is great, tzwrites. I hope more and more people will begin doing this. Thanks for stopping by. 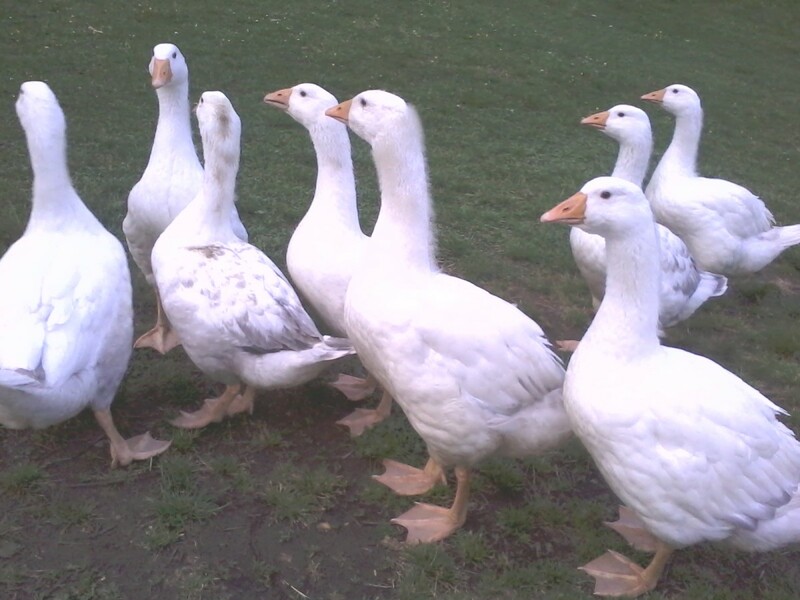 We have two beautiful Barred Rocks who are as much garden ornaments as egg producers. Not a bug in sight either! Great hub. Congratulations ! Peg, ours have survived some pretty cold temps. As long as they have that heat lamp they will be fine. Good luck. I hope you enjoy it as much as we have. Thank you for the visit. Great hub. I also have my own chickens and it's very rewarding. I never have to go buy eggs and it's great! This is really encouraging for those of us who have the space and desire to raise chickens. Your important words about warmth during the winter is what has kept me from doing this so far. Perhaps there's a way to overcome the challenge of keeping the birds warm during the cold Texas winter. Anyway, great article and many congratulations on winning the hub of the day award for this. Thank you colorfulone. I'll tell the chickens to groom themselves extra pretty today. Thank you Heidi. It's actually #2. Never has anyone worked so hard for two awards. LOL I think, with your golden one, that chickens might not be the best idea, but I appreciate you stopping by. Happy Sunday to you as we bask in 60 degrees. Mary, it is the second HOTD....not bad for 925 hubs, eh? LOL Chickens are intelligent, extremely so for such small brains. Anyway, thank you and Happy Sunday to you. Thank you Glimmer. I appreciate it my friend, and cluck cluck to you. Hi Lee, and thank you. I love Vermont....lived there for two years and I have fond memories of that beautiful state. Anyway, I hope one day you can raise chickens...they do run around like a small army. That's the perfect description. Bobbi, thank you for sharing and for the kind words. I love your description...a pet of everything that had a heart. Yes indeed. I could never be a full-scale farmer because that would require killing my pets...Impractical for sure, but I know you understand. Happy Sunday my friend. Bev is with a girlfriend at the ocean having a nice weekend, so it's just me and the animals. Wow, congratulations on Hub of the Day, Bill. OMG! Is this your first Hub of the Day Award? If so, congrats... even though you should have gotten one hundreds of hubs ago. Anyway, have a wonderful weekend! Thank you Kathleen. Actually this is my second...I got the other one about six months ago. 2 out of 925 is a good percentage, right? LOL I appreciate the kind words, my friend. Thanks for sharing your thoughts, drpennypincher....as soon as we get some acreage we will have dozens of these chickens, and then we'll sell our eggs too. Thank you MD....I'm sorry to hear that your area is not conducive to raising chickens. Hopefully things will change in your area soon. Elsie, any friend of chickens is a friend of mine. The only mystery to me is why more people don't raise them. Thanks for sharing your memories. Congrats on HOTD!! Isn't this the second one?? I had four hens for a while, and really enjoyed getting an egg a day from each one. Chickens are very intelligent (a lot of people don't know that). I remember the big chicken house/coop at my aunt's farm in NH from my childhood and how I loved to go and fetch eggs and help feed the hens. My neighbors here in VT have a small coop and flock that I can see from my kitchen window. I really would love to have a few of my own, but I travel from time to time so must wait a few years. It's fun to watch the neighbor's chickens scratch for bugs and run in and out of the coop like a small army. Thanks for all the tips! Finally Mr. Grow everything man---Congrats. You were already a winner in my book. 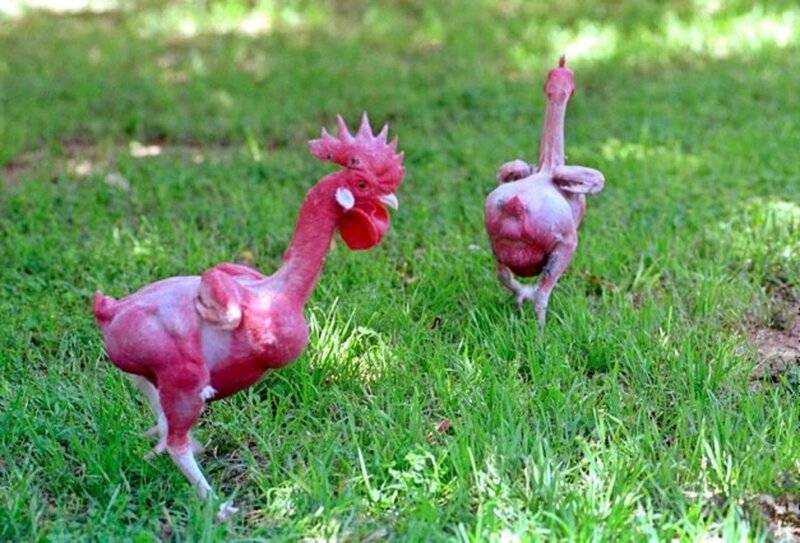 One Easter my Grandfather Knight bought chicks that were colored like Easter eggs. I don't know how they did it---food coloring I suppose. However, my favorite little rooster still had the color on the tips of his feathers when he was grown. I made pets out of everything that had a heart. Thanks for all the goodness and joy you have spread throughout HubPages for all the ones who admire and enjoy your work. I shared with Twitter and put on my re-pin board on Pinterest. Congratulations on your second Hub of the Day! Well, it's about time. Please tell me this is not your first HOD. Every year we honor our favorite hubbers, but rarely see their hubs as the HOD. I've never understood that. You have many other hubs deserving of this honor as well. Congrats. We had lots of fun with chickens out on the farm. We got a "straight run" of 24 hens as chicks from a hatchery. As time went by, we noticed one of the chicks was growing much faster than all of the others. Then, that one started making funny noises. A neighbor let us know what now seems obvious: we got a rooster! If you want fresh eggs to eat, a few hens should be all you need. With 24, we had to sell eggs and give them away. Congrats on HOTD! Wonderful article Bill. I have raised chickens in my childhood and I cannot forget those cute faces. But sadly my hometown has changed a lot recently and no one is eager to raise chickens these days. I liked the way you described raising chicken in rough areas. I'm a chicken lover, my parents had many hens years ago and we sold eggs, it was my job to clean the eggs before they went to the market. I must have cleaned more than a million eggs in the 1950s, no wonder I don't eat many now. 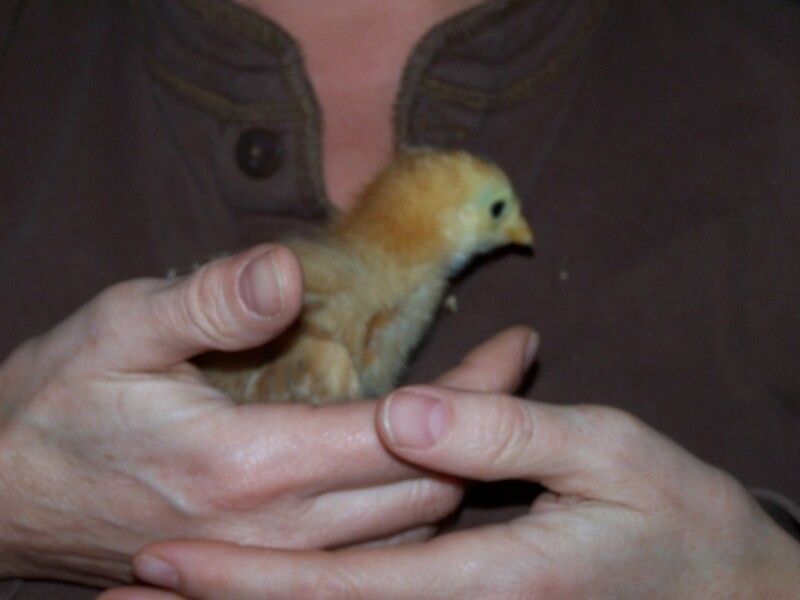 We used to raise our own chickens, which were brought as 1 day old, I have many memories. Thanks enjoyed your article. PNW, thanks for stopping by. If you have any questions feel free to ask them. I'm thinking about getting some chickens and appreciated all of the practical tips. Sandra, it helps to have a partner like Bev who does more than her own share. I wouldn't do all this if I were alone. :) Thank you! Bill you amaze me every day when I see how diverse your talents. I could never tackle such a feat as my garden is sometimes overwhelming. We are, vkwok, and we are preparing for six more next month. Thank you! I hope you and your chickens are doing well, Bill! Zulma, you are right not to own them if there are free-roaming cats. Cats must be kept in yards here and I'm so glad for it. Occasionally a stray will get out, but we have dogs for protection in that case. Have a superb Monday my friend, and thank you. I have a fondness for chicken. They are such quirky creatures. And it's this fondness for the critters that I don't have them. I have neighbours on either side who own cats that are free roaming. When my daughter moved back home she brought three cats with her. If the cold doesn't get the chickens, then the stress of being surrounded by so many felines will probably make their feathers fall out. Then, I guess, the cold would get them. Ann, they are comical, aren't they? Our love oatmeal, hot or cold. We have finally figured out their likes and dislikes after two years....worms, though, remain their favorite dish by far. Have a wonderful week my friend, and thank you. A great how-to hub! 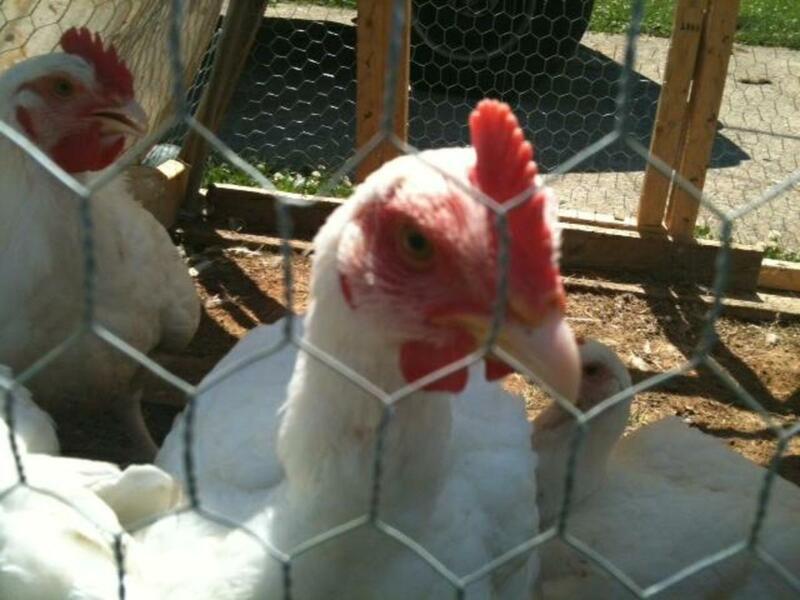 We used to love our chickens in France; they were so comical. They went wild for porridge, all cold and solid. Ugh! They too liked bread and would turn up their noses, sorry - beaks, at common or garden grass and seed, unless of course there was no choice. You really get to see where the expression 'pecking order' comes from too, when you've got a few of these weird, prehistoric creatures. Glad I read this light-hearted hub this evening. Thanks, bill. Bill, I had a great time on the farm! That's a good point about dogs vs. chicken mess. I hadn't thought about it. At least chicken manure can be composted and repurposed. Cristen, I am a big fan of all animals. I never thought I would be a chicken advocate, tell you the truth. They always seemed messy growing up, but after having three dogs, chickens are definitely not messy. :) Have fun on the farm. Very interesting, peachpurple, about Malaysia. I would have never guessed that. Thanks for sharing. I do love this idea. 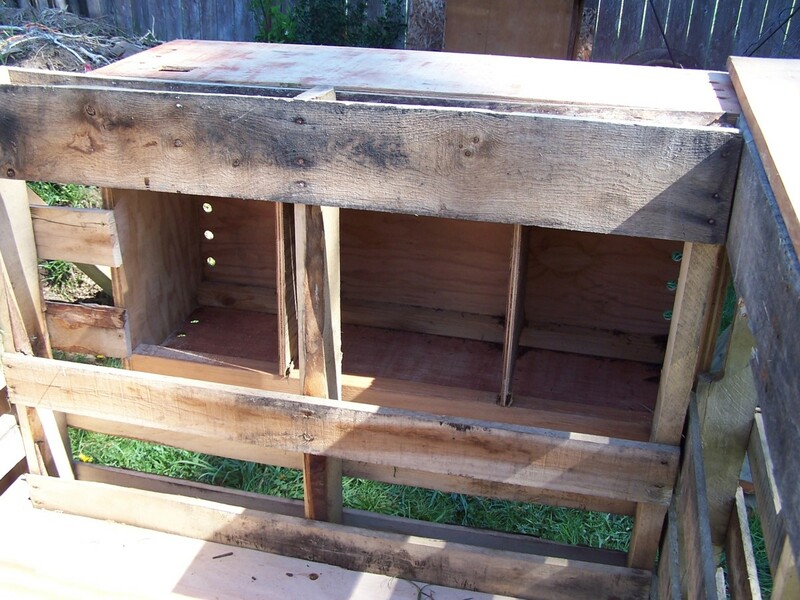 When we move into a place that has the space, a chicken coop will be the first thing I put up. It will probably even go in before a garden. This article got me all excited about it. And today we're headed to a farm to see chickens and all kinds of animals. I am very excited. :) I'll compare their setup to your suggestions. Jamie, I've raised pigs before, and I actually love them. I won't call them the perfect pet, but I did enjoy them when I had the. I can hardly wait to hear about your adventures. Just make sure you wear boots when you feed them. They have a tendency to try to eat your foot. LOL No lie! Thank you Venkatachari M....passing on knowledge that we have learned over the years is what writers do, in one fashion or another. Alicia, I just can't do it. It would be like killing a pet cat for a meal, and I've never been hungry enough to do that. Frank, you're a loyal follower for sure. Thank you my friend, and Happy Weekend. Very interesting article. But Lol!!! Bill, we are purely veg and don't eat eggs. But it is very useful for all those who want to keep chickens and you have given full knowledge to them about raising chickens and protecting them from preys. This is a useful hub for anyone who wants to raise chickens, Bill. Thank you for sharing your experience. As I've said before, I'm very glad that you are unlikely to kill your chickens once they no longer lay many eggs! Thank you Faith. I don't know about other people, but I just love raising chickens. I need more room!!!!!!! Thanks for the info, Brian. I'll check those two out. As for guard animals, some dogs are great. We have a golden lab who does fine around the chickens and keeps all predators at bay during the day. The real problem for us is nighttime....but we're working on it. It is funny how sometimes things come full circle, and for the better! I know your grandpa would be proud of you raising your chickens in the city. 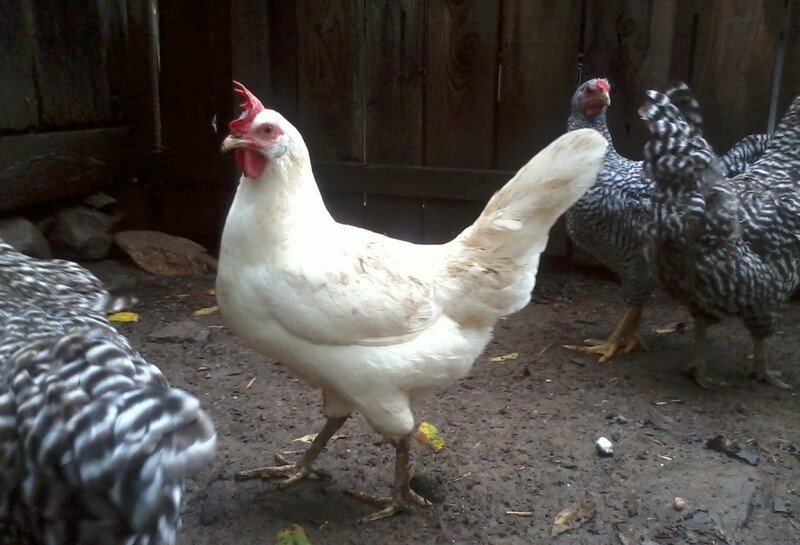 You make a great case to raise chicken in urban areas! For fiction about raising chickens, read "The Egg" in the book THE TRIUMPH OF THE EGG by Sherwood Anderson, now online in pdf. FYI, page 49 of the 1-2015 issue of Mother Earth News magazine says they are looking for blog writers. I have happy memories of feeding my grandmother's chickens in the early 1950s in the MN north woods, before she switched to raising rabbits. Are there guardian animals appropriate for guarding chickens from predators?